Healthcare start-up wheelAIR has published a new clinical indications document, providing evidence to both end users and healthcare professionals that its cooling backrest cushion delivers positive results to individuals. The wheelAIR cooling backrest cushion aims to keep users cool and comfortable by eliminating problems associated with over-heating and sweating. According to wheelAIR, its users fall into one or more of the following groups: over-sweating, over-heating or general discomfort. 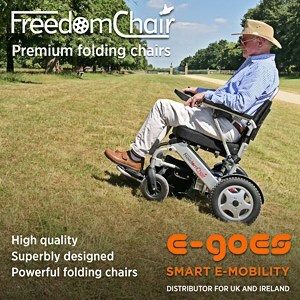 However, the backrest can help these three core groups by offering long-lasting and controllable isothermal airflow as well as enhanced back support to maximise independence and comfort. The innovative cushion works best when it used as a preventative measure, says the company, ensuring the user’s back and body remains cool, while reducing fatigue and heat stress, and improving comfort. To provide clinical evidence for the positive effects of the backrest cushion, wheelAIR launched its clinical indications document for healthcare professionals. The document is intended to provide a guide to healthcare professionals as to when they might consider the wheelAIR for their clients, setting out the benefits of wheelAIR’s isothermal airflow as well as the materials used. The results showed that, on average, wheelAIR users experience a 7 percent decrease in back temperature within 3 minutes while using the cushion and a 16 percent decrease in back temperature after 30 minutes. Commenting on the wheelAIR cushion, Occupational Therapist Susie Turnbull said: “As an OT, I want to enable someone to fulfill their life activities and get busy living. Similarly, Loopwheels also launched a clinical indications document in September last year for its wheelchair wheels, highlighting the clinical benefit of its product to help engage with healthcare professionals. The results showed that Loopwheels can reduce damaging vibrations by up to 70 percent in the range of 5hz to 13Hz compared to a standard spoked wheel.